A crash between a car with a trailer and a van closed part of the A14 in Cambridgeshire today, Friday May 27 and caused long delays. The collision closed the westbound carriageway near Fenstanton and queues were back to Cambridge and also affected the M11. 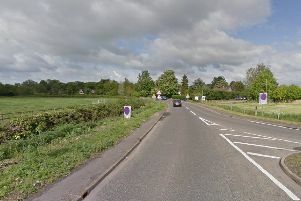 Police were called at 11.20am to the crash involving a Vauxhall Combo and a Volkswagen Touareg. Nobody was injured in the collision and the vehicles have now been moved and the road reopened.